One of the reasons people buy the 2016 Jeep Patriot from Las Cruces is its affordability. Considered as one of the least expensive SUVs these days, it could be your ticket to be a proud Jeep owner and enjoy the benefits of the various features that come along with it. If you’re looking for a vehicle that has the capacity to go on off-road trips but your money is tight, then this might the best option for you. Driving through rough terrains and harsh weather can be tough and risky. 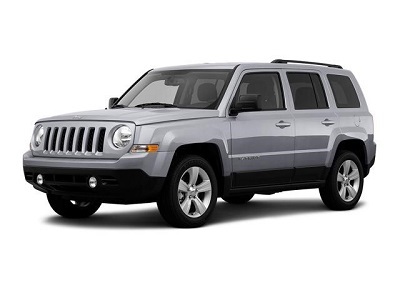 You need a capable vehicle with off-road features like the 2016 Jeep Patriot from Las Cruces. Its Trail-Rated feature, for example, enables the vehicle to power through snow, mud, and water (up to 19 inches) as long as you have the Freedom Drive II package. It has two engine options. The 2.0-liter 4-cylinder produces 158 horsepower and 141 lb-ft of torque while the 2.4-liter 4-cylinder delivers 172 hp and 165 lb-ft of torque. Posted on April 11, 2016 by CedrickPosted in BusinessTagged 2016, dealer, jeep, las, patriot.